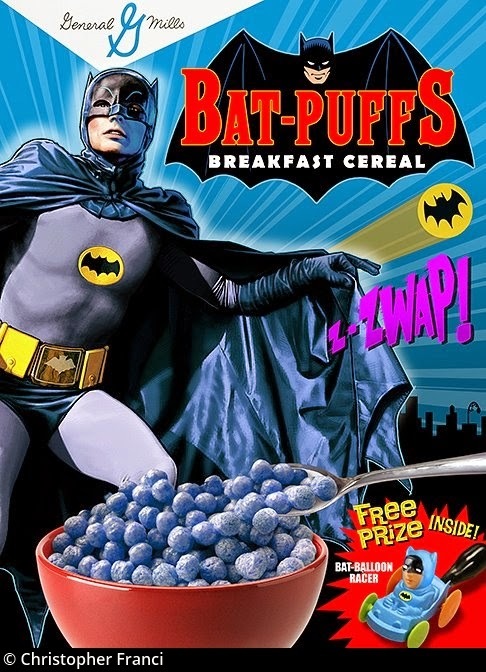 Notes and Nerds: 4 Fake DC Comics Cereals You Wish Were Real! 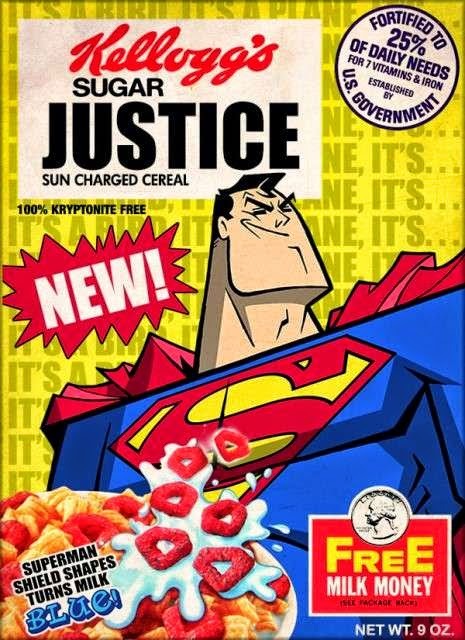 4 Fake DC Comics Cereals You Wish Were Real! 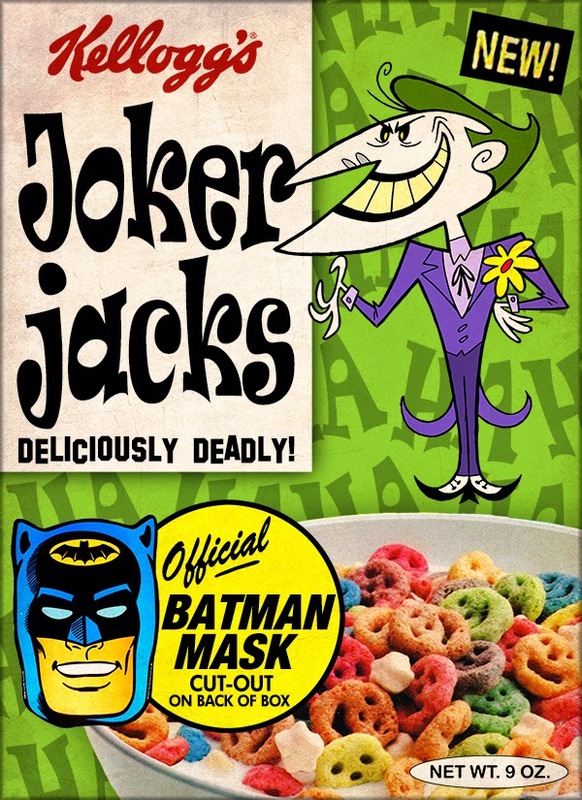 Since we did a post on "7 Fake Marvel Cereals You Wish Were Real", we are doing "4 Fake DC Comics Cereals You Wish Were Real"! Some breakfast cereals are very tasty, and some not so much. 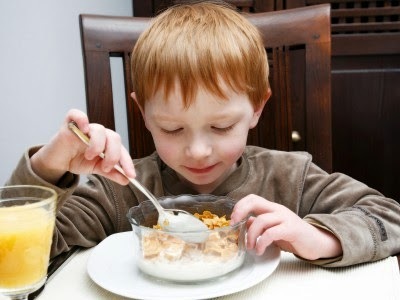 However, when it come to cereals for kids they want great taste, a good visual, and an awesome toy inside. This DC Comics parody uses Superman. It has sugary grain square and red sugary grain Superman sign , and has free Milk Money inside. 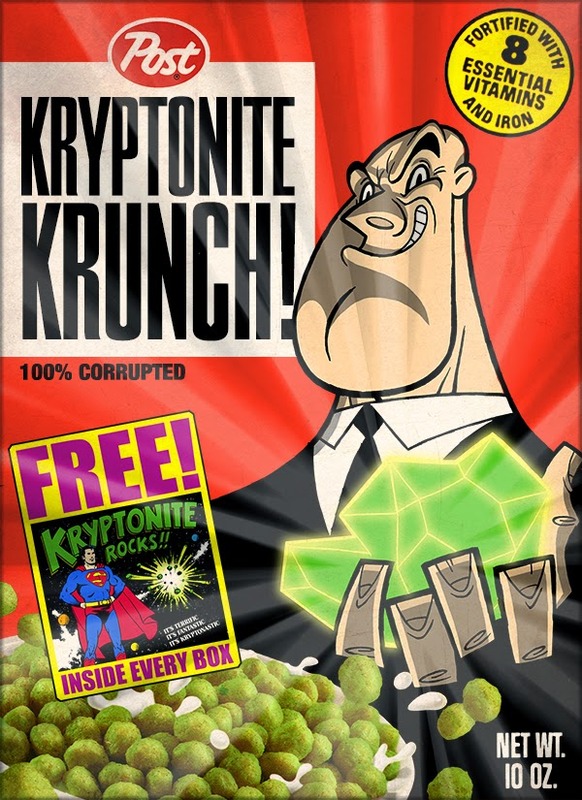 This DC Comics parody uses Lex Luthor. It has green sugary puffs, and has free Kryptonite Rocks inside. This DC Comics parody uses Batman. It has blueberry flavored sugary puffs, and has a free Bat-Ballon Racer inside. This DC Comics parody uses The Joker. It has fruit flavored grain faces, and has a free Batman Mask inside.